Befriending Coordinator, Caitlin and Welcoming Volunteer, Fran are back from an inspiring week in Paris representing the Welcoming’s Women Swim project. 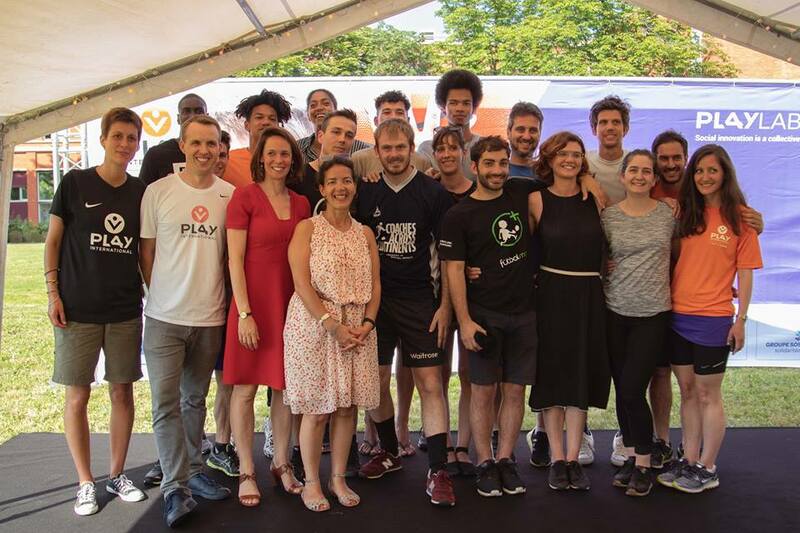 The Welcoming were selected to take part in Play International’s first ever Playlab incubator, bringing 7 projects from 7 European countries together to share learning and best practice in supporting refugees through sport. Read more about their experience here. Befriending volunteers and staff were delighted to be joined by Dr Ebtihal Mahadeen at a recent peer support session. Ebtihal, originally from Jordon, has a professional background in reporting and online media. Her research focuses on the intersection of gender, sexuality and media within the Arab context. 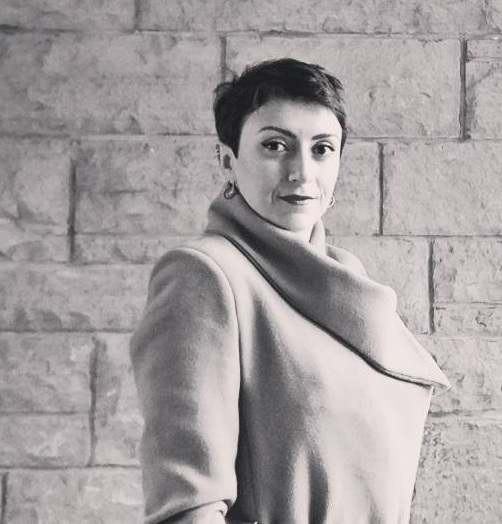 She completed her PhD at the Centre for Women’s Studies at the University of York in 2013 and is now a Lecturer at the University of Edinburgh. 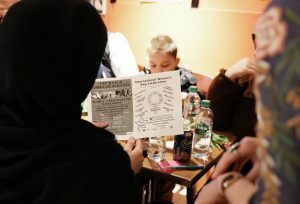 Having Ebtihal with us gave us an invaluable opportunity to raise questions around gender and family dynamics in the Arab world. 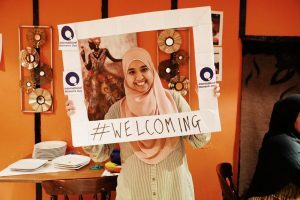 Our befriending programme primarily supports women from Syria and Sudan who have recently arrived in Edinburgh with their families (though it’s is open to male and female newcomers from anywhere in the world). 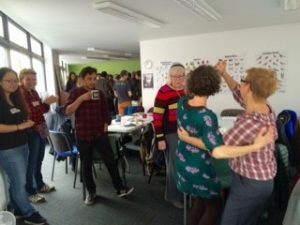 The session provided an opportunity for befrienders to gain a deeper understanding of cultural issues and behaviours and to question our own perceptions and assumptions. 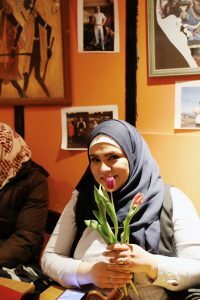 Ebtihal’s passion and knowledge is inspiring, one volunteer said “I could have listened to her forever”. We are so pleased to have Ebtihal join us. We look forward to future learning and development opportunities with her. Happy International Women’s Day to all our friends from across the globe! 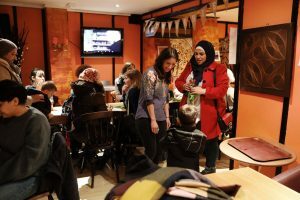 We had the pleasure of celebrating women and friendship whilst sharing the most delicious Sudanese food at the Nile Valley Cafe. We were joined by some of the wonderful women involved in our befriending programme. Welcoming Friendship offers an opportunity for individuals who are new to Edinburgh to connect with local people. 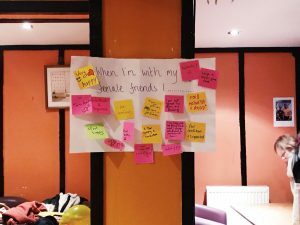 Around 40 befriending pairs meet up each week; sharing tea, conversation and exploring Edinburgh together. We hope you have all enjoyed sharing a moment with the wonderful women in your life! Thanks to John Arthur from Edinburgh Leisure for joining us at our monthly Befriending Peer Support session. We had fun exploring ways to encourage and support healthy living. 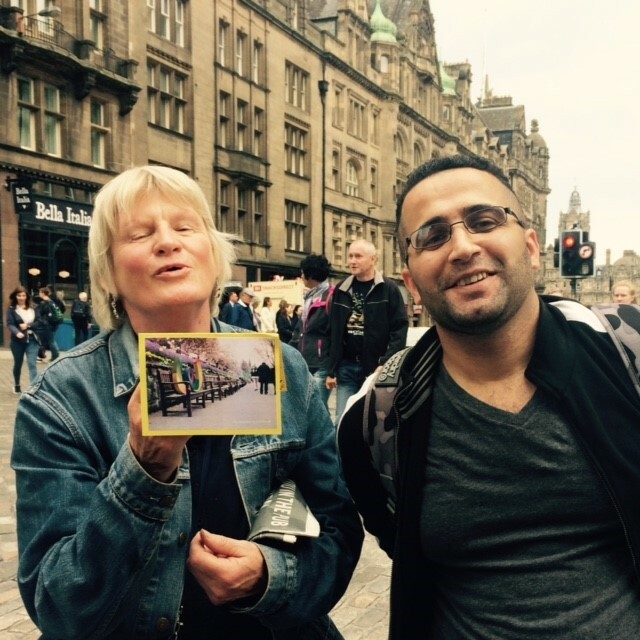 Befriending volunteers are matched with newcomers; individuals and families who are resettling in Edinburgh. 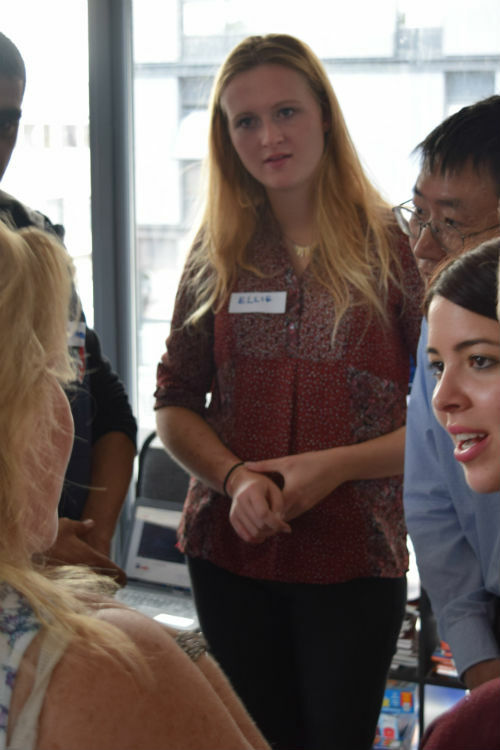 The focus of Welcoming Friendship, our befriending programme, is meeting new people, practising English and getting to know Edinburgh and the local community. This often involves exploring local parks, gyms, swimming pools and practising useful language to access these. Keeping healthy and active in a new city, a new country, in a different language and culture can feel like a daunting task. The great news is, it’s fun, affordable (often free!) and a fantastic way to build confidence and feel good about yourself! Use the stairs instead of taking the lift, go for a short walk instead of taking the bus, small steps make a difference! We made our radio debut this week on the BBC Radio Scotland’s Kaye Adams show. 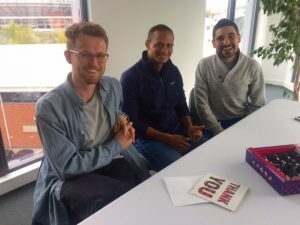 Volunteer Befriender, Zora King, and Ahmed Al Houlani, a newcomer from Syria discussed how their involvement in ‘Welcoming Friendship’ befriending programme has been mutually beneficial. They talk to Kaye about how befriending supports integration for refugees. This week we say a fond farewell to Befriending Volunteer, Mikey as he moves to London to start a new job. Mikey has been a fantastic support, helping out at our weekly conversation cafe and meeting up with newcomer, Omar within our befriending programme ‘Welcoming Friendship’. 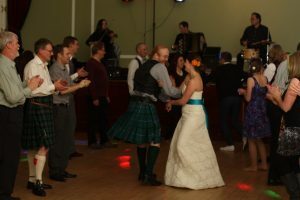 The pair have enjoyed exploring Edinburgh together, with walks along the Water of Leith and trips to the Scottish Gallery of Modern Art and the Scottish National Museum. With Mikey’s departure, we introduce Alex, as a new Volunteer Befriender. 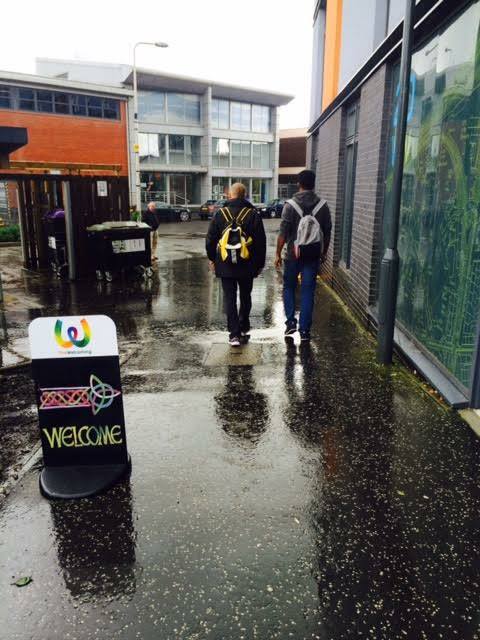 We hope that Alex and Omar will enjoy getting to know one another, sharing cultures and exploring Edinburgh together. We wish Mikey all the best with his new job and move to London and thank him for all the great support! This week we celebrate our 40th befriending match! 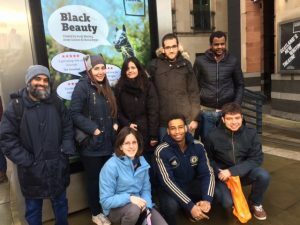 Welcoming Friendship funded by Big Lottery Fund offers newcomers an opportunity to practise their English and get to know Edinburgh. At the same time giving local volunteers an opportunity to make someone feel welcome and share local knowledge. It allows both a unique opportunity to make friends and enjoy learning about one another’s culture! We match newcomers with local volunteers we think they’ll get along with! It could be that they share a common interest (such as our flute players Zora and Ahmed, above), have similar professional backgrounds, live in the same area or have kids of a similar age. We’ve come a long way since our first match in autumn 2016. Here’s to many more successful, fulfilling and enjoyable befriending matches! 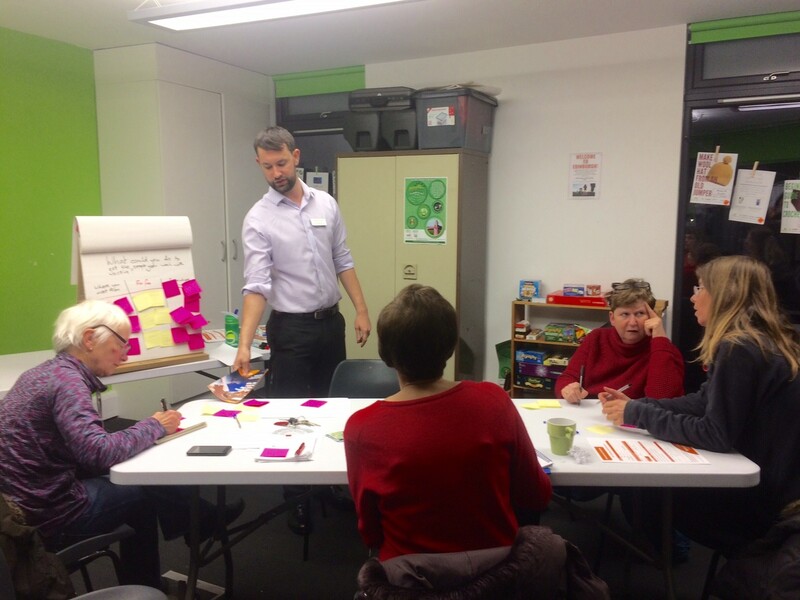 We were recently invited to write about our work in the Big Lottery’s weekly blog. 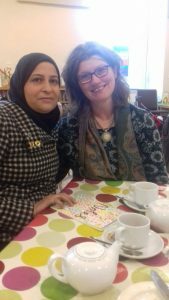 At our monthly befrienders’ peer support session we asked volunteers about activities they had enjoyed sharing with newcomers. Lots of fun activities emerged, from looking at wedding photos, to cooking and practising English together. 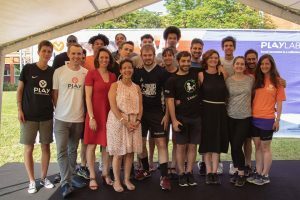 You can read our blog post here. Our befriending programme Welcoming Friendship is funded by Big Lottery. 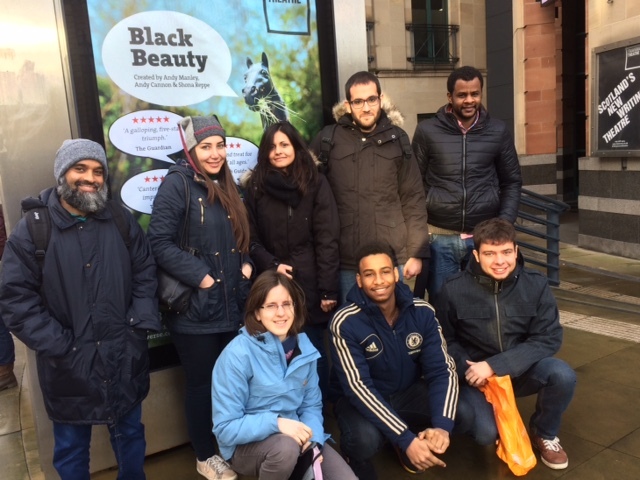 We had a fun-filled trip to see Black Beauty, thanks to Red Bridge Arts for their kind invitation. 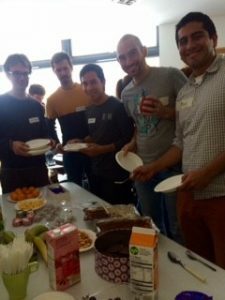 Our diverse, multi-cultural group included newcomers from Syria, Sudan, Saudi Arabia, Spain and Italy (along with one token Scot!) There was lots of laughter amidst confusion over in-jokes about Edinburgh’s Maybury roundabout and Crombies the butchers! Thanks to Red Bridge for inviting us and Traverse Theatre for making us feel so welcome! 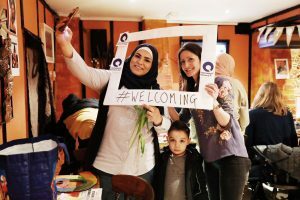 Today we launch the Welcoming Friendship Group! 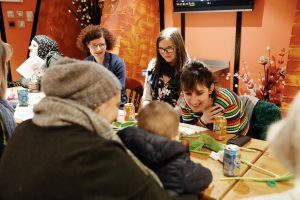 A weekly group connecting migrants and refugees who are new to Edinburgh, meeting each week to support one another as they settle into life in their new communities. The group, facilitated by Nick a local volunteer, offers a warm welcoming space to make friends and practice English. Welcoming Friendship befrienders, Ellie and Vicki have set off for Calais where they’ll offer their support as the ‘Jungle’ camp awaits demolition. 7,000 official residents are expected to leave the camp by the end of this week, though the Help Refugees agency said the final population ahead of its demolition was 8,143. 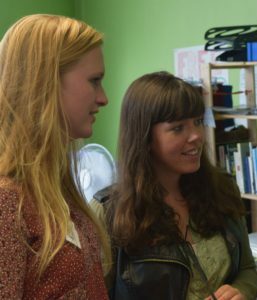 Ellie and Vicki, both medical students, previously volunteered together in a refugee camp in Greece where they set up a women’s tent. As if studying medicine and volunteering isn’t enough – Ellie completed her first marathon earlier this month in Amsterdam! Thanks to everyone who sponsored Ellie, funds raised will be shared between The Welcoming and KUNE Aid based in Greece. You can check out Ellie’s fundraising page here! We are very fortunate to have such a dedicated, compassionate and enthusiastic team of volunteer befrienders. We wish Ellie, Vicki and all residents and volunteers in Calais the very best. We’re thinking of you all. We’re on the look out for new friends to help us make the Never-ending Friendship bracelet! If you would like to contribute to the Never-ending Friendship bracelet pop into The Welcoming. We’ll show you the ropes (it’s wool really! ), do a few minutes of friendship bracelet making (or more if you like) following the step by step guide. 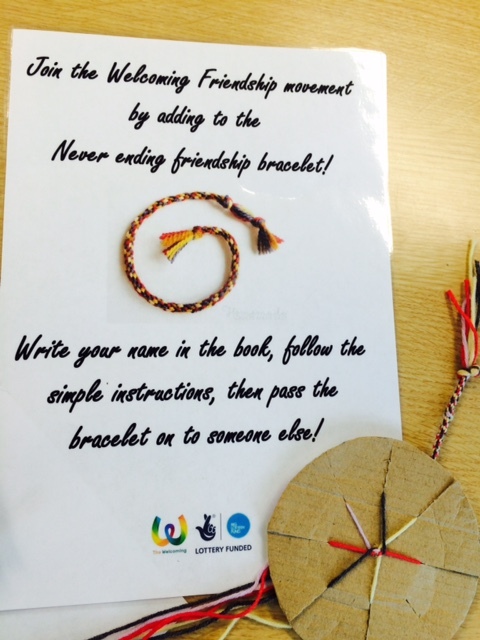 Write your name and a message in our book, then pass the bracelet on to someone else. They follow the same steps, and pass it on, making friends along the way! 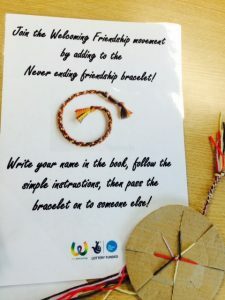 If you’d like to take the Never-ending Friendship bracelet to your workplace or share it among your own circle of friends we will happily send the bracelet and instructions to you on loan for a day! Contact Caitlin on 0131 346 8577 or email [email protected] for more information or to contribute to the Never-ending Friendship bracelet. 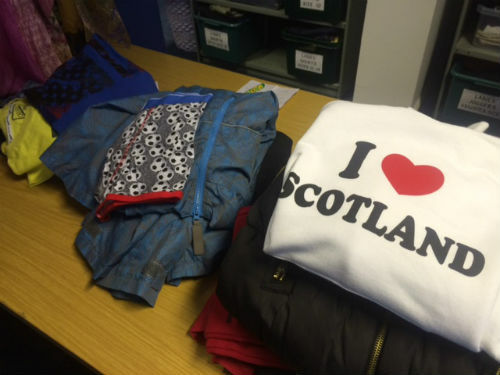 After a fantastic trip to The Edinburgh Clothing Store this week, two Syrian families are now kitted out with warm clothing in preparation for their second winter in Scotland! The local charity is run by volunteers and offers free donated clothing, bedding, etc for people in genuine need. Volunteer Befriender, Sabine and Befriending Coordinator, Caitlin accompanied the ladies on the ‘shopping trip’. There were lots of laughs, especially with one of the ladies’ best efforts to squeeze into a beautiful winter coat which, unfortunately, was a few sizes too small! The ladies left with warm clothing for themselves, their children and husbands as well as bedding, pillows and blankets. We were delighted that one of the ladies choose this ‘I heart Scotland’ jumper for her 11 year old daughter! The Edinburgh Clothing Store accept donations of clothing, bedding and cash and are also greatly in need of large carrier bags. Thanks to everyone at The Edinburgh Clothing Store for all the help and to everyone who has made donations to allow them to continue this fantastic work! Our wonderful befriending volunteer Ellie Strong is running the Amsterdam marathon on Sunday 16th October! It’s her first marathon and we are absolutely thrilled that’s she’s decided to raise funds for The Welcoming as well as KUNE Aid. Ellie recently volunteered with KUNE Aid, a charity set up by Swiss students, working with refugees in Greece. Ellie set up a Women’s Tent in the camp and enjoyed getting to know the women and young girls. In the short time we’ve known Ellie, she has shown warmth, compassion and dedication towards volunteers and newcomers alike. She will make a fantastic befriender and we’re excited to introduce her to her new friend when she returns! (We’ll wait a few days until her legs have recovered!) We would like to wish Ellie the best of luck! Her dedication and strength of mind will be sure to see her through the 26.2 miles! To check out Ellie’s page click here. We have recruited and inducted a group of almost 40 local volunteers who we are now connecting with newcomers for one to one befriending as well as group activities! The matching process has been lots of fun! Our first pair, Al from Sudan and Ollie, a local volunteer had a very successful first meeting. Ollie brushed up on his beginners Arabic in preparation for meeting Al. They’re excited about sharing Sudanese and British culture and getting to know one another over the coming weeks and months! 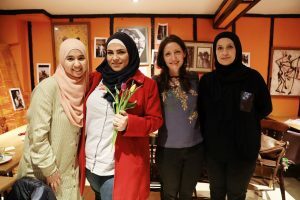 More introductions are taking place over the coming weeks, including a local volunteer flutist with a Syrian refugee who has always wanted to learn the flute! 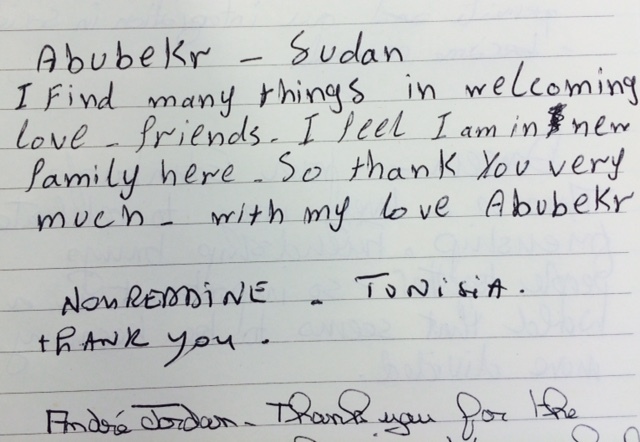 We wish all local volunteers and newcomers the best of luck with their new friendships!